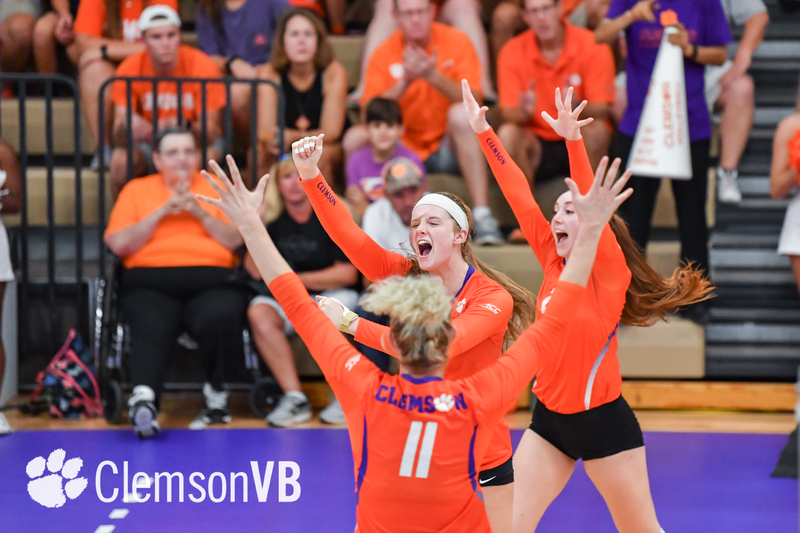 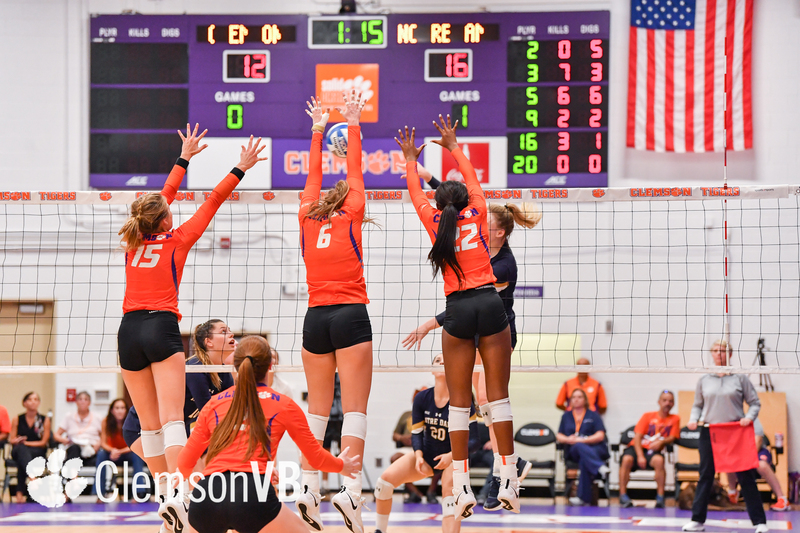 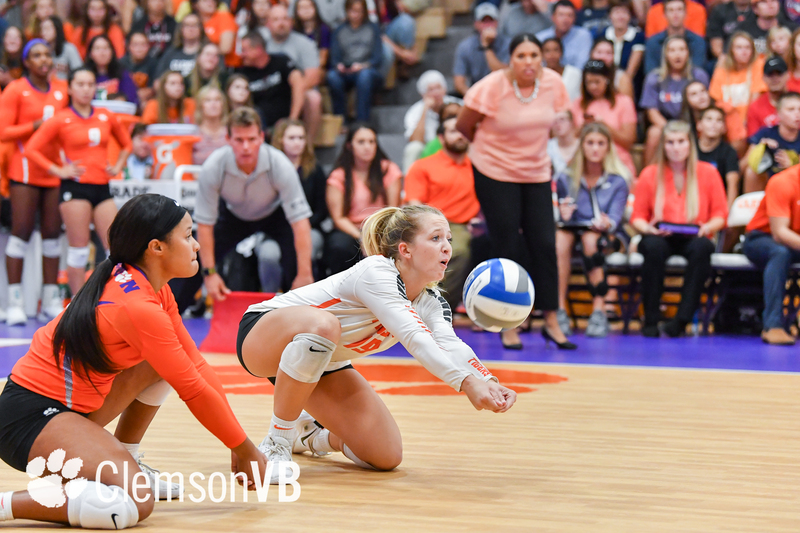 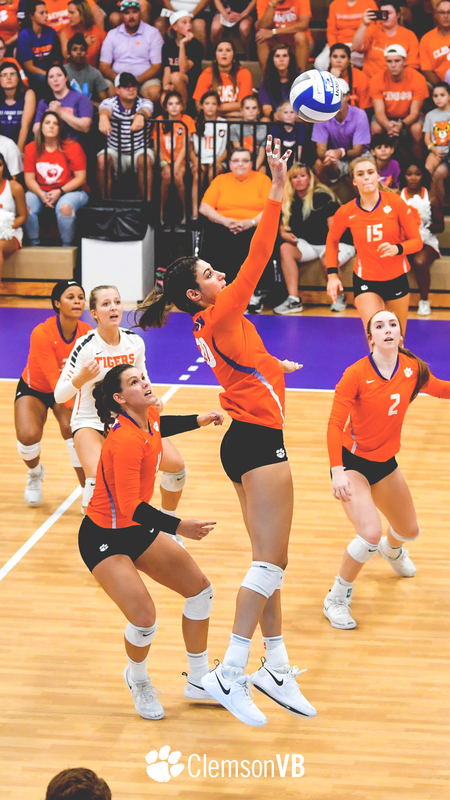 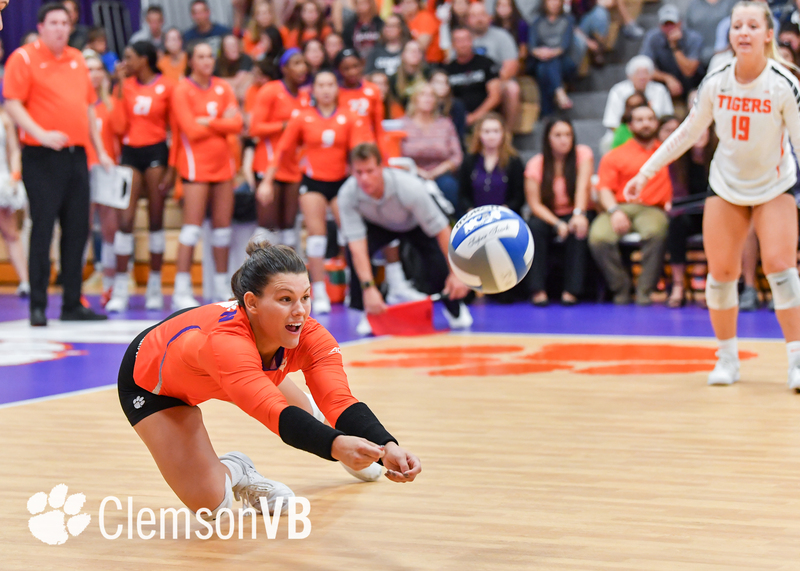 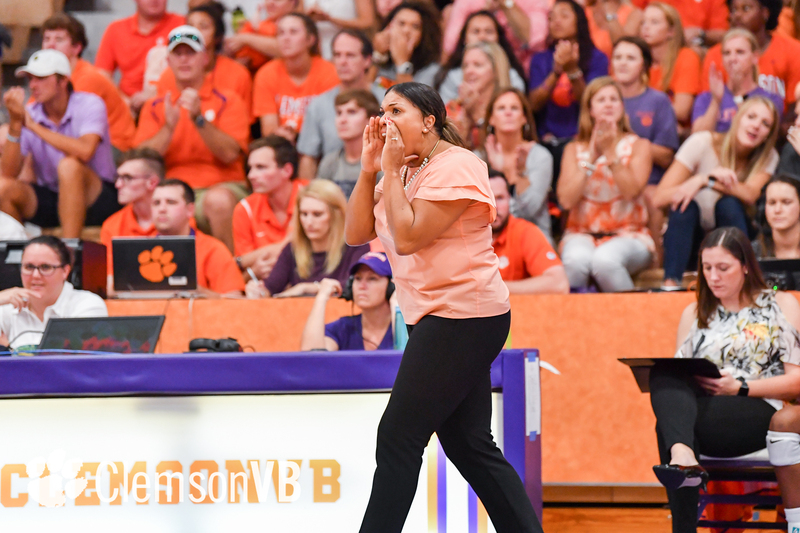 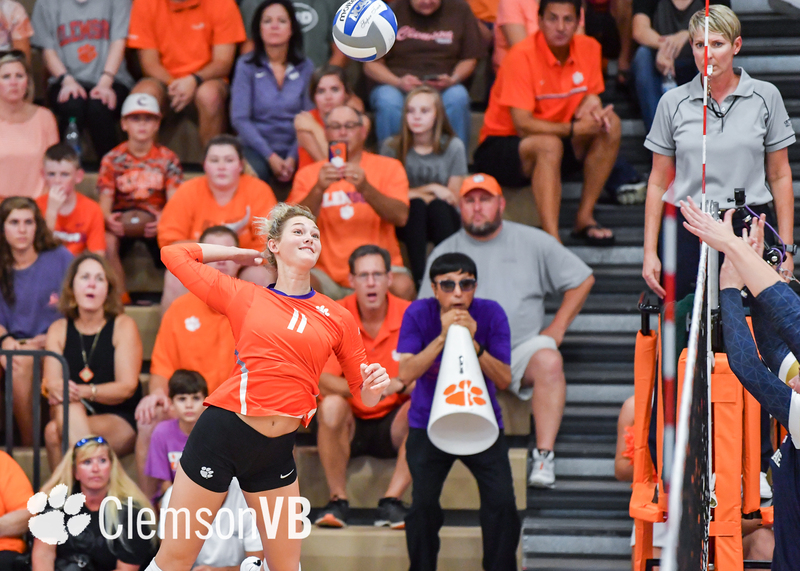 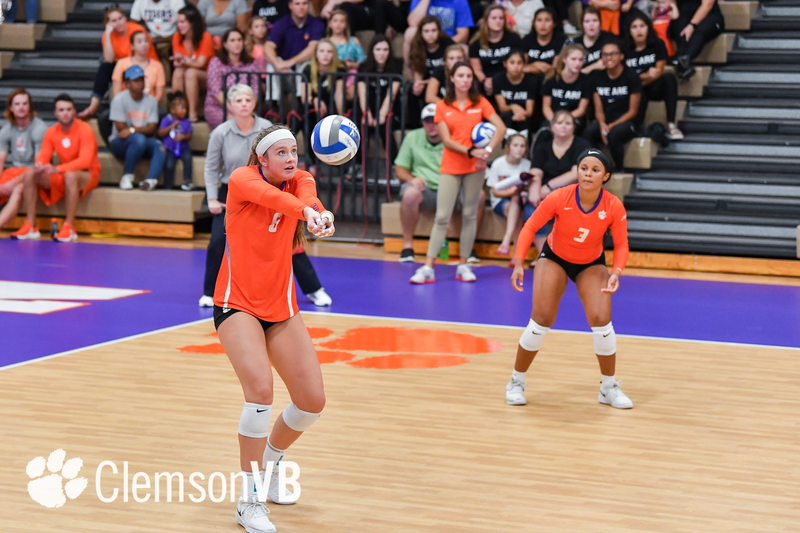 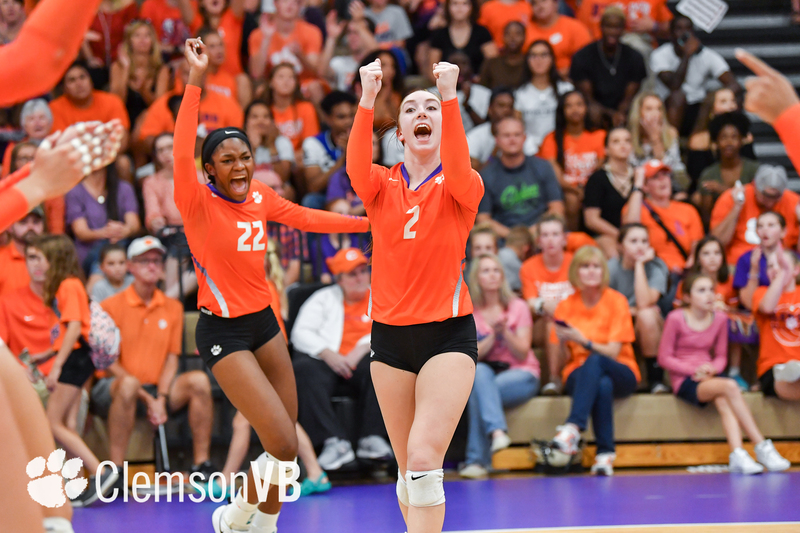 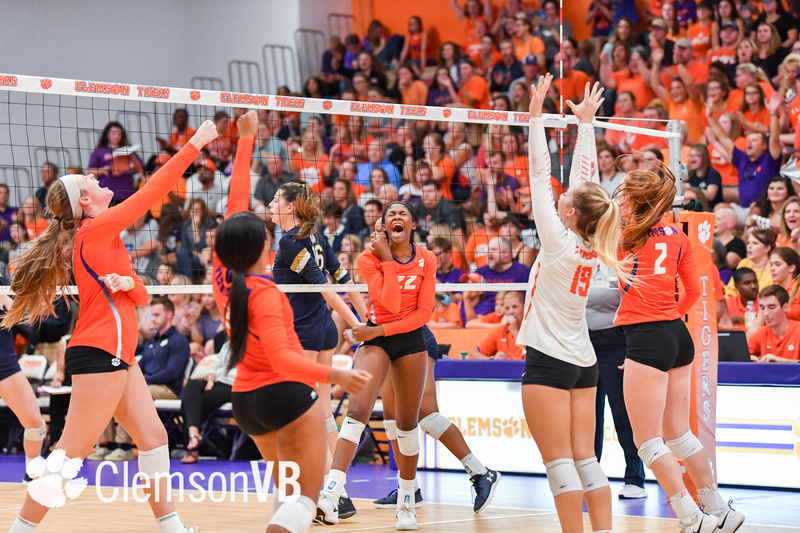 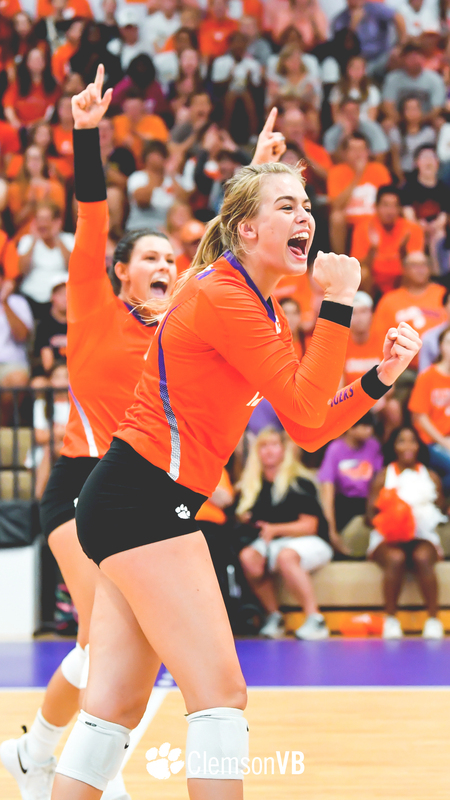 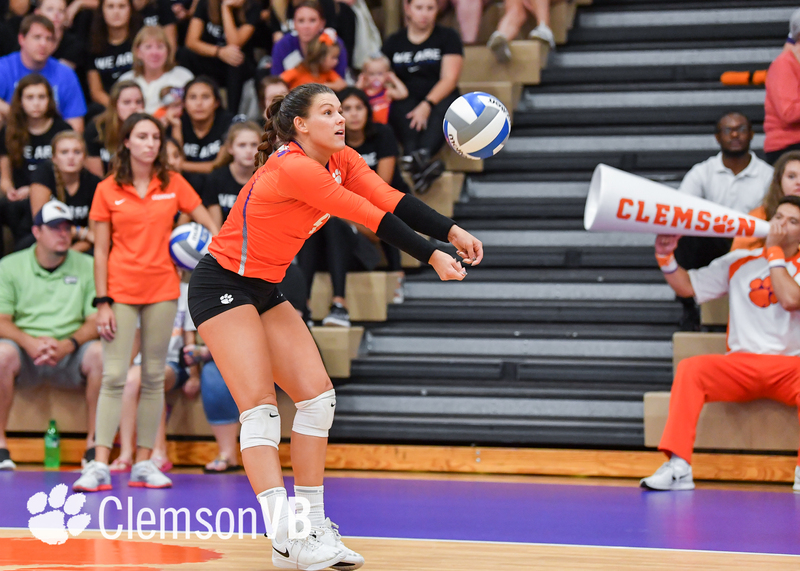 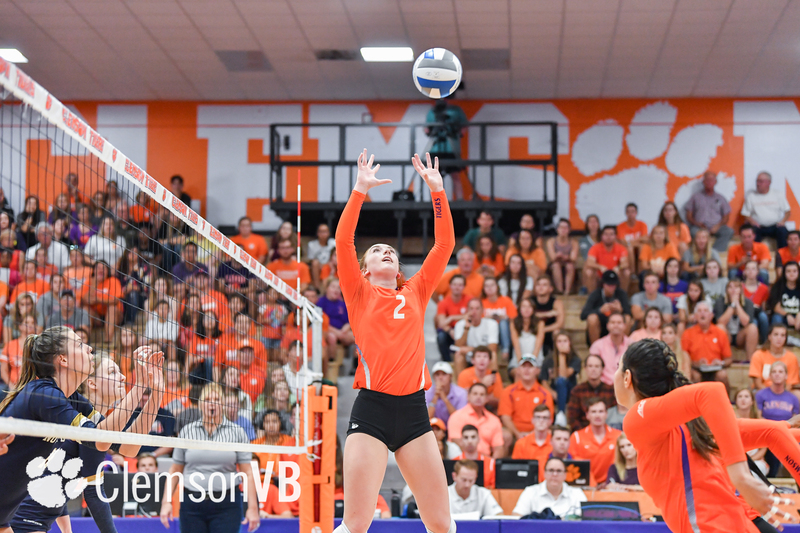 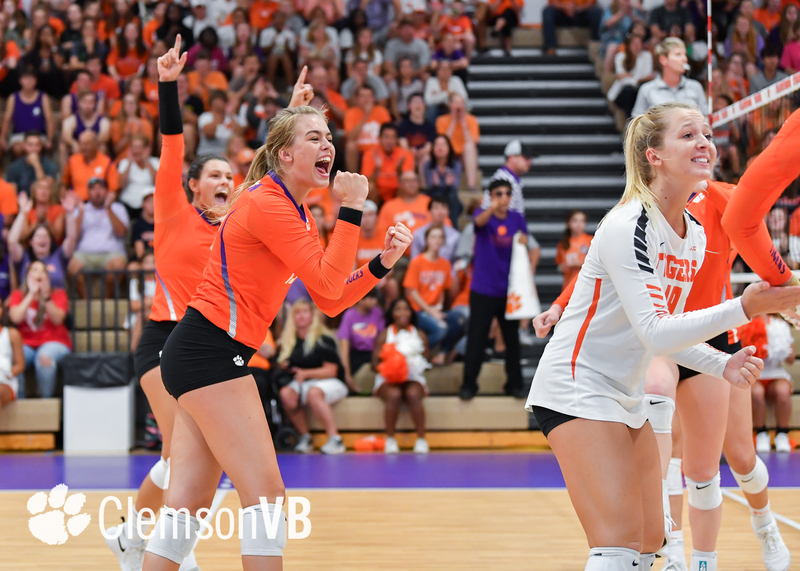 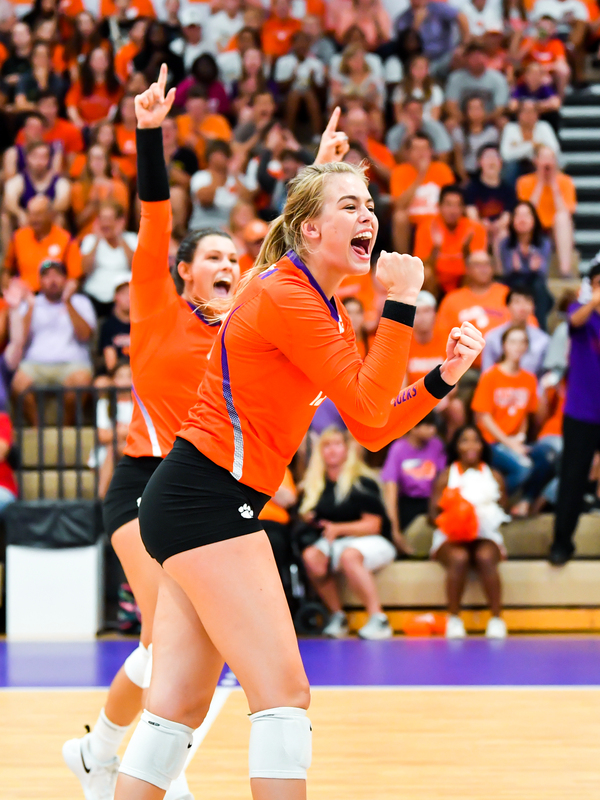 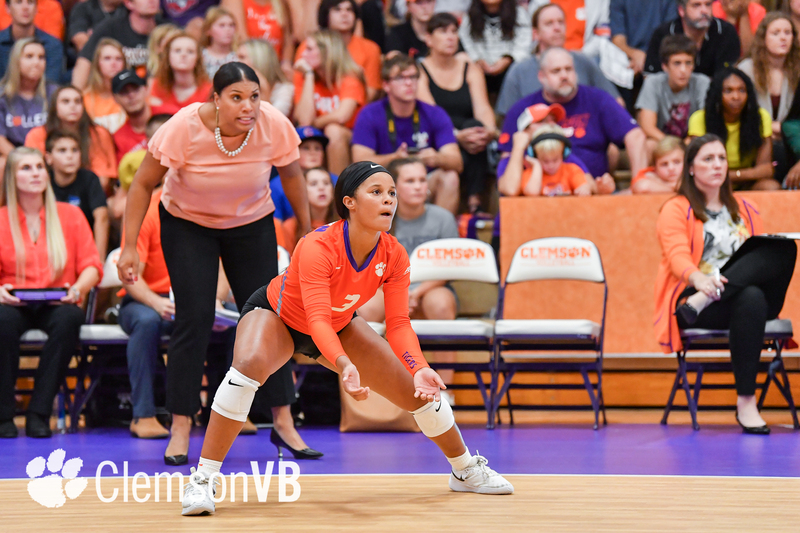 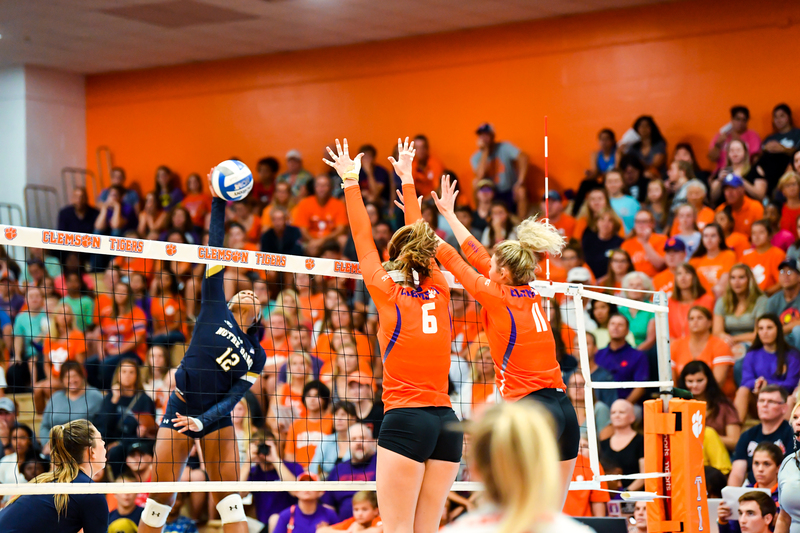 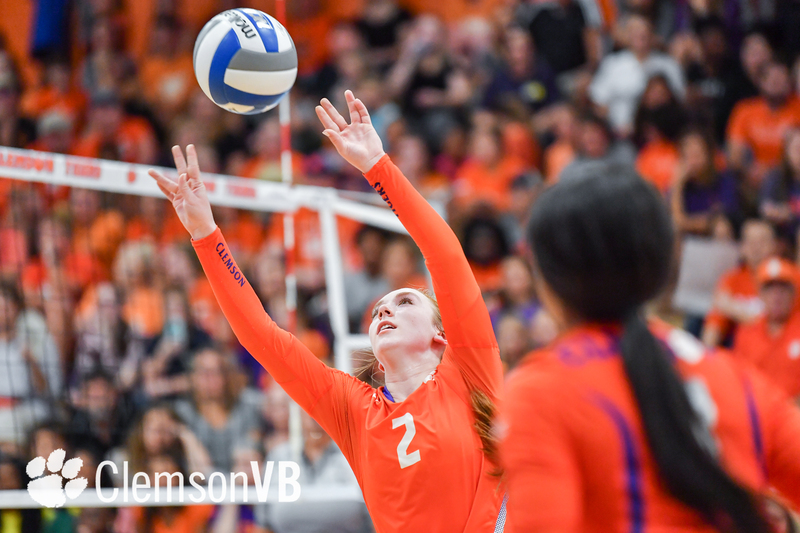 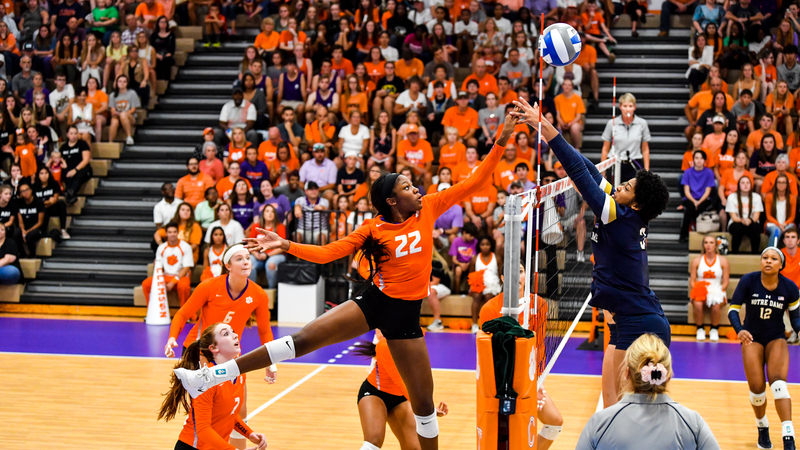 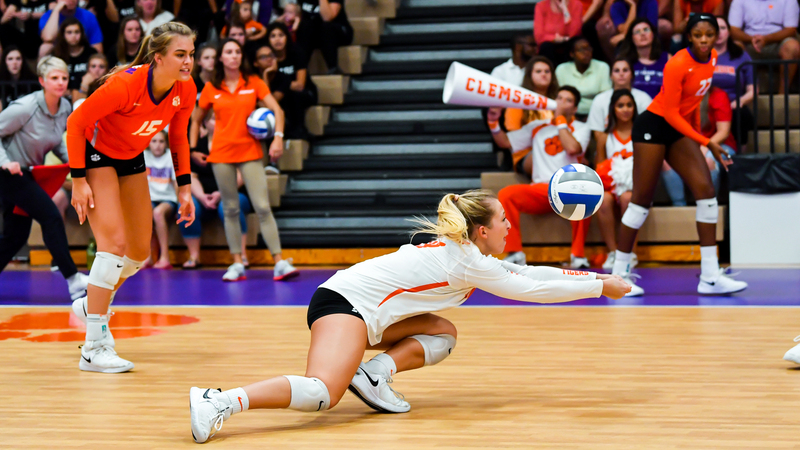 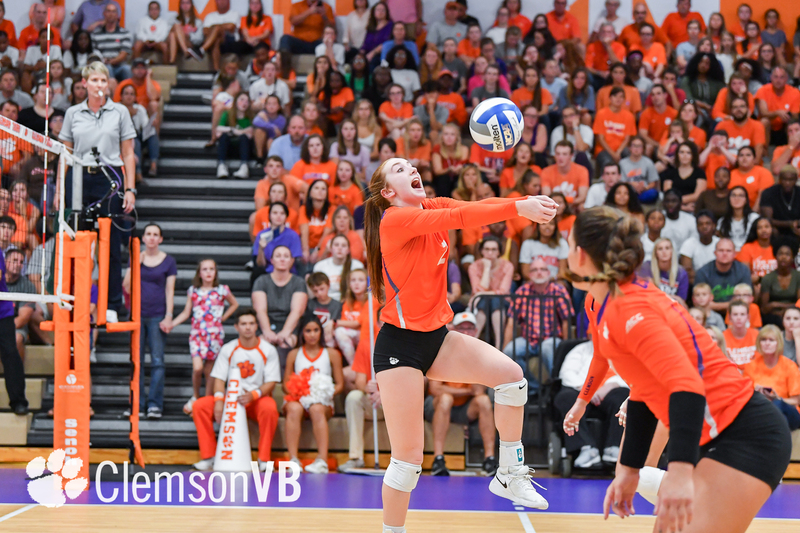 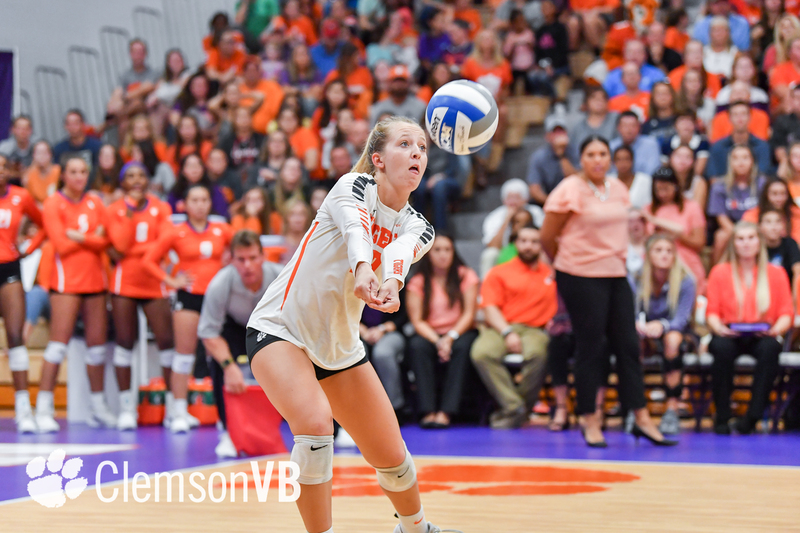 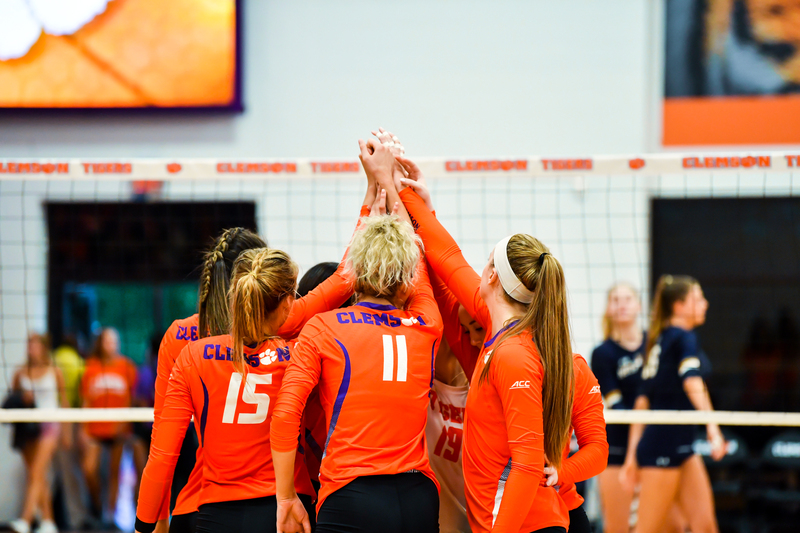 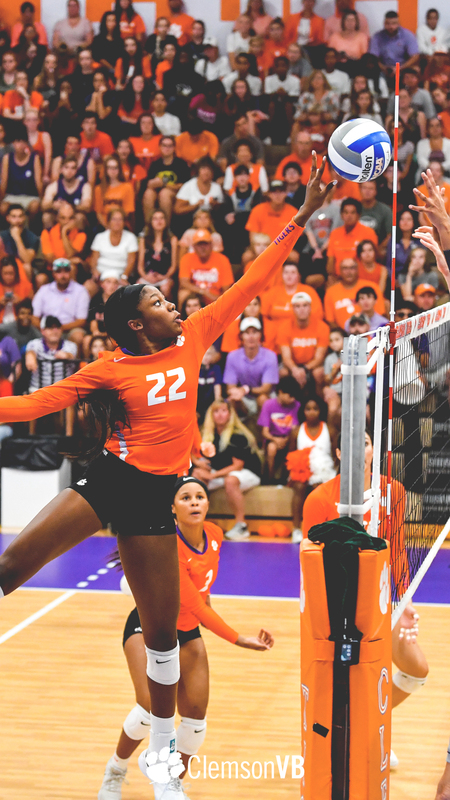 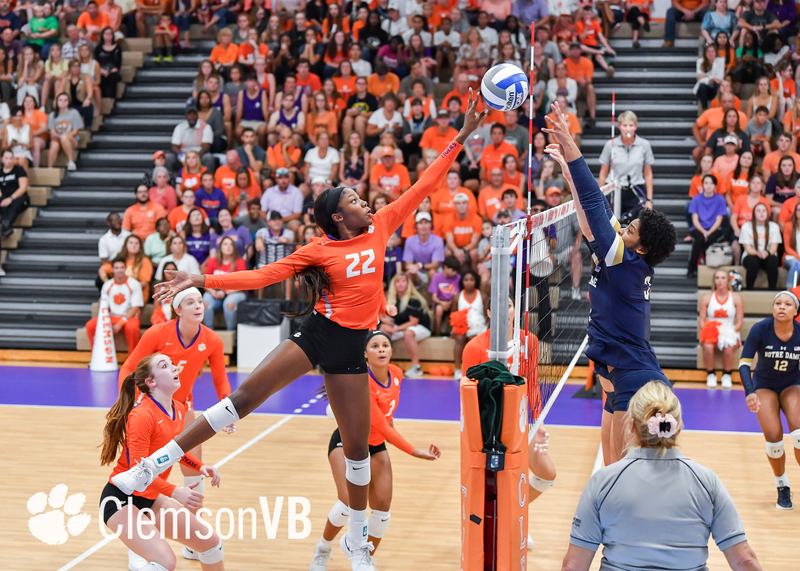 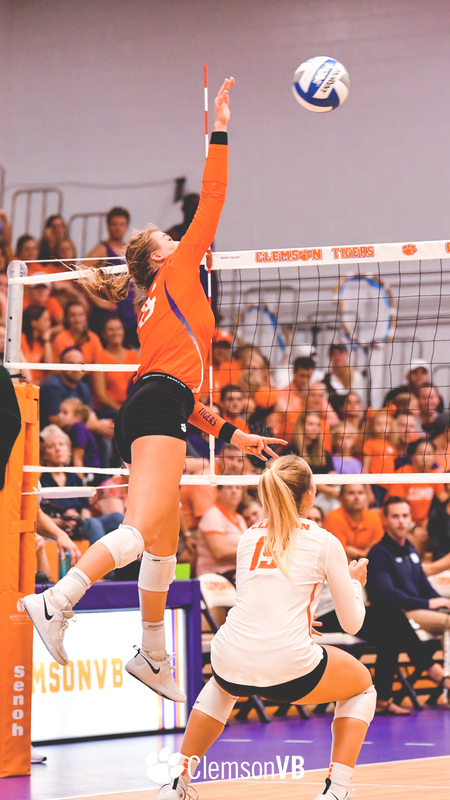 CLEMSON, S.C. – The Clemson volleyball team fell in three sets (20-25, 21-25, 23-25) against Notre Dame Friday evening in Jervey Gym. 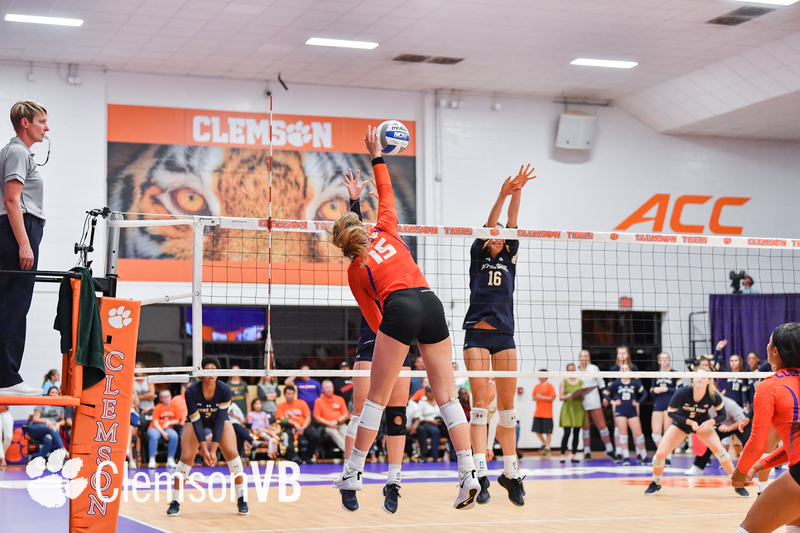 With the loss, the Tigers slip to 9-7 on the year and 0-3 in ACC play, while the Fighting Irish improve to 8-5 overall and 2-1 in conference match ups. 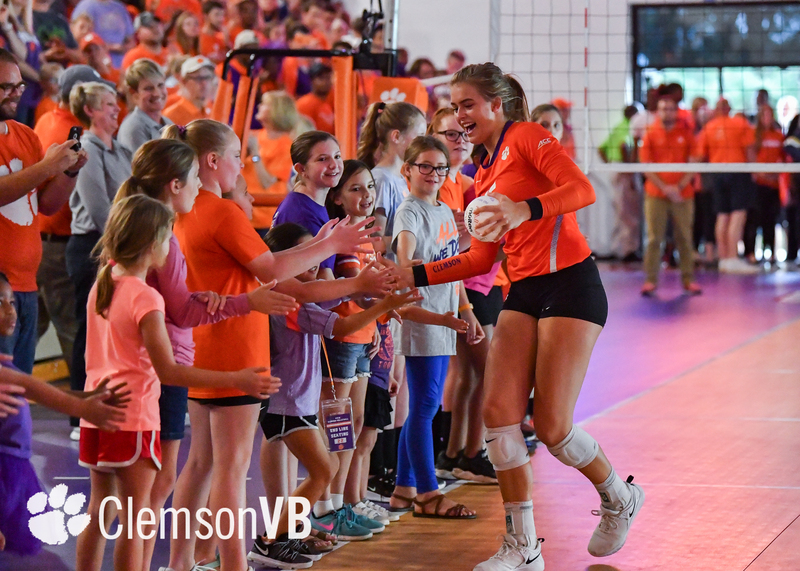 🙌 Thank you, #ClemsonFamily! 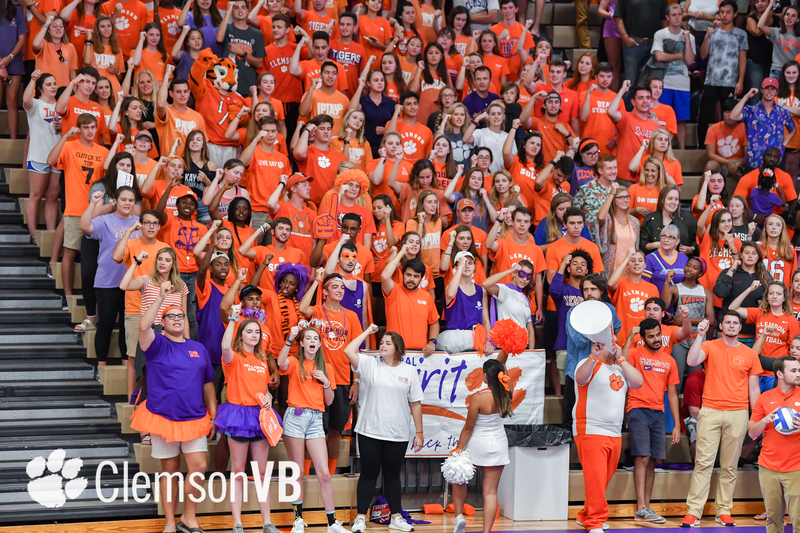 Last night you were a part of history – the No. 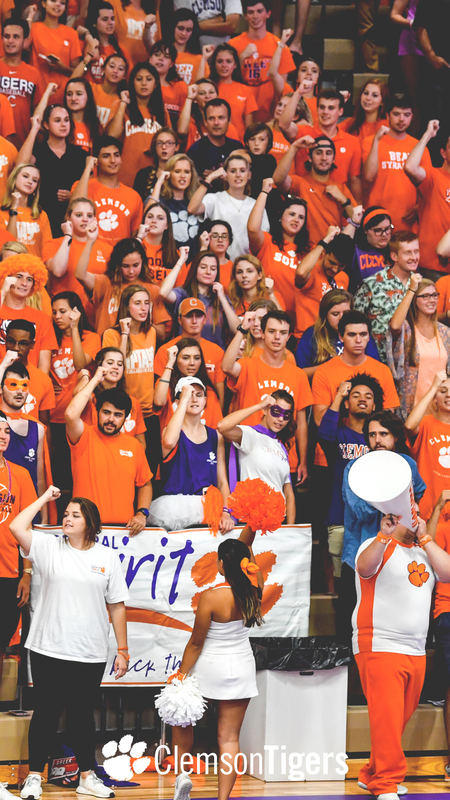 4 attendance record in Jervey history! 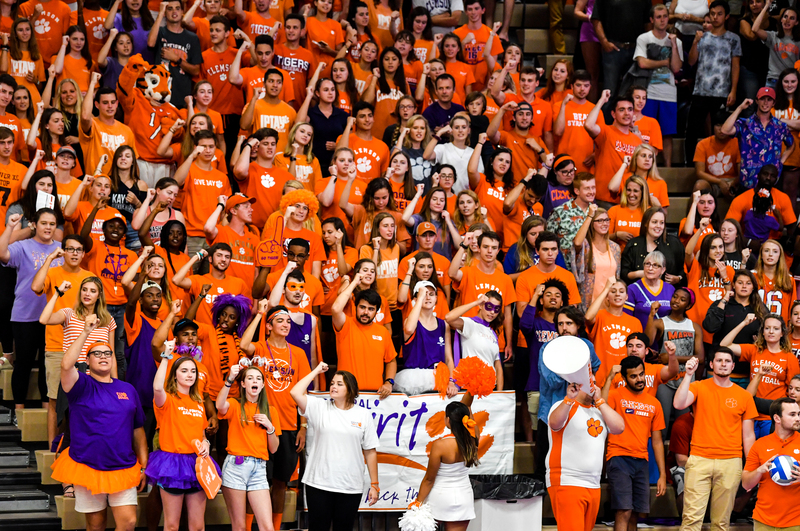 CU soon! 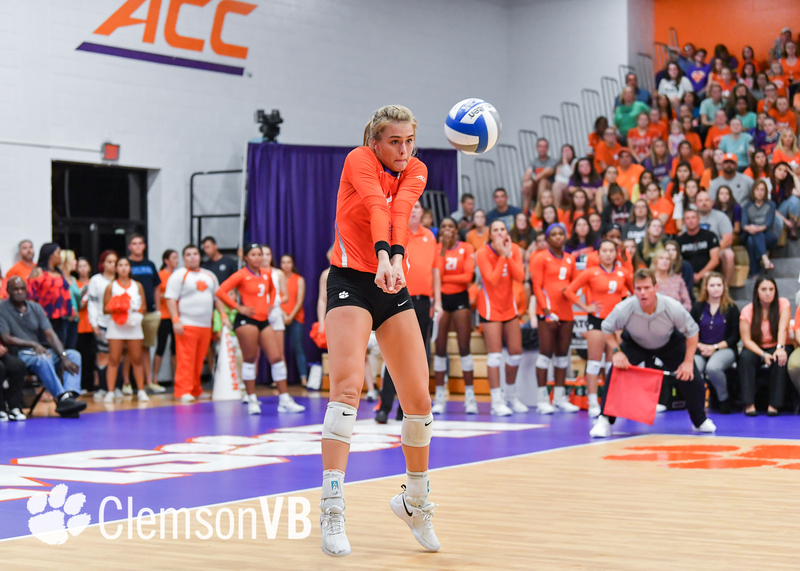 Freshman outside hitter Ashtynne Alberts led the Clemson effort, tallying 12 kills, her season-high in a three-set match, while hitting .357 on the night. 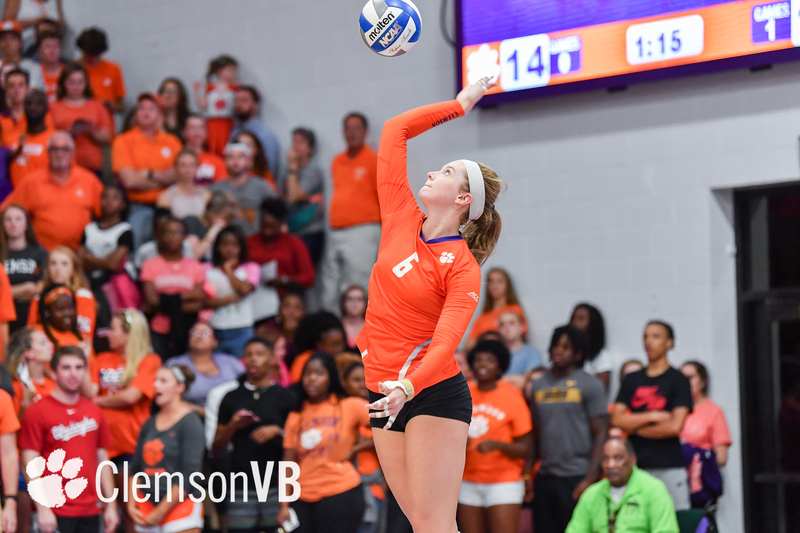 Freshmen Alberts, Solei Thomas (10 kills), Ava Pritchard (3 kills) combined 25 of the Tigers’ 36 kills on the match. 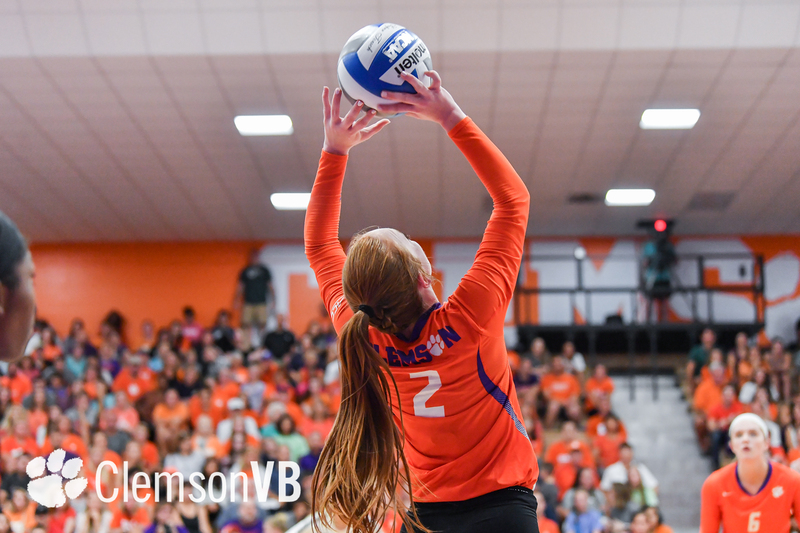 Freshman setter Gabby Easton tallied her fifth double-double of the season after registering 32 assists and 10 digs. 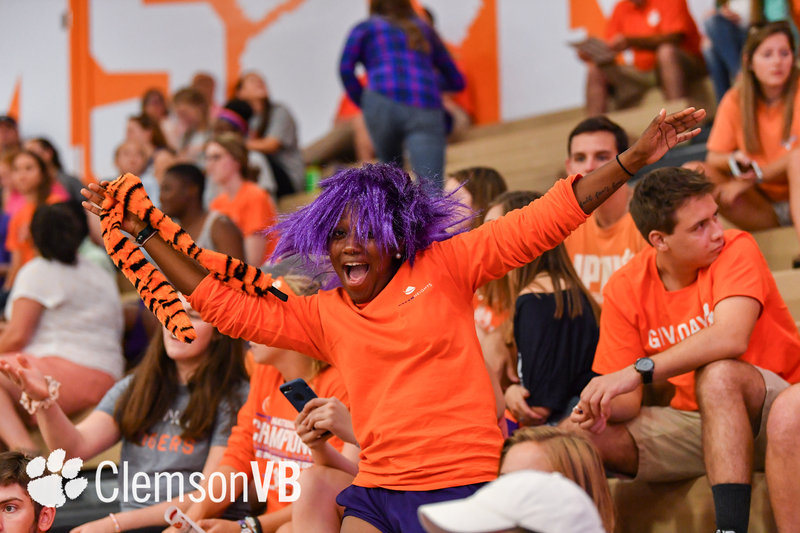 Additionally, tonight’s attendance of 1,993 at Jervey Gym is the No. 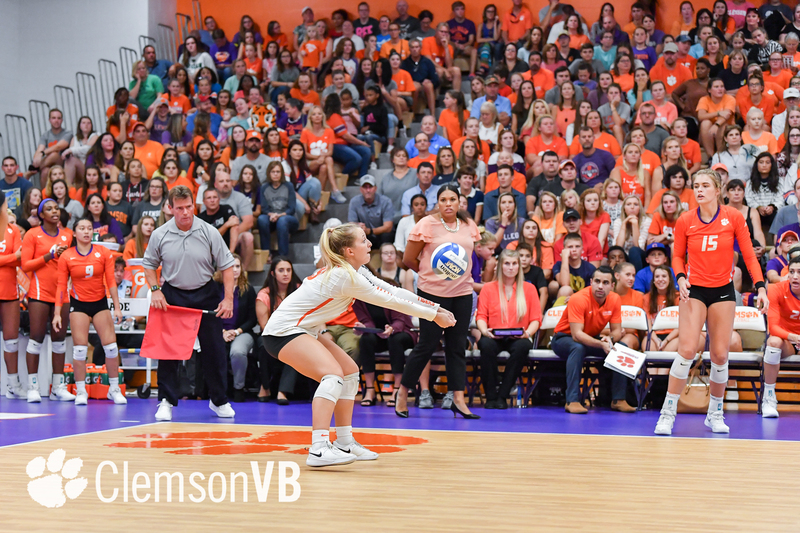 4 attendance record in program history. 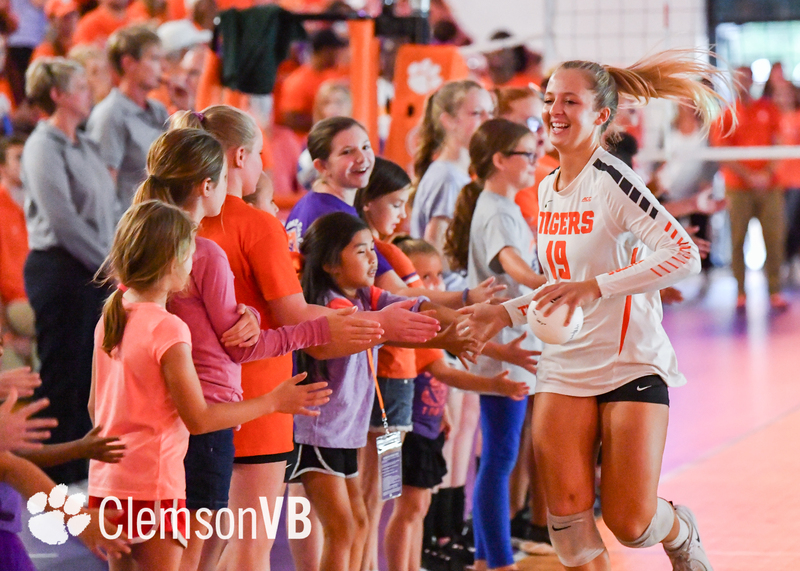 Up next, the Tigers return to Jervey Gym Sunday, Sept. 28 as they host Louisville at 1 p.m. Sunday’s match is set to stream on ACC Network Extra.